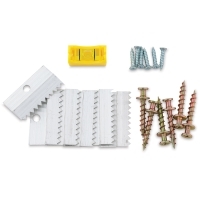 Hang canvas, open-back frames, giclees, and gallery wraps flush to the wall within minutes! 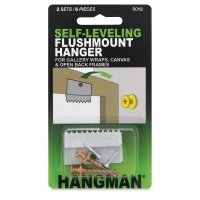 The single-piece bear claw hangers included in the Hangman Self-Leveling Flushmount Hanger Kits hug the inset of the open back, and are easily installed using only a Phillips-head screwdriver. 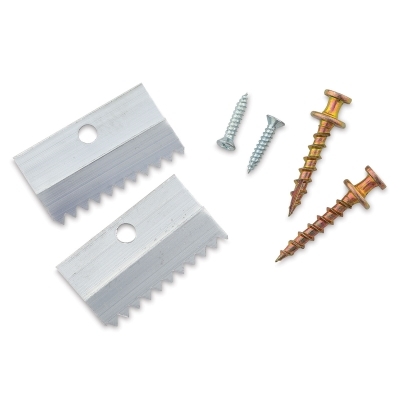 Ideal for canvas art, they also work with wood frames. 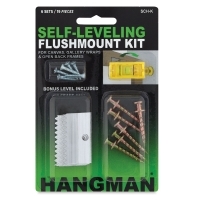 Flushmount Hanger Kit, 6-pack — This kit includes enough hardware to hang six pieces of artwork, plus a bonus level.